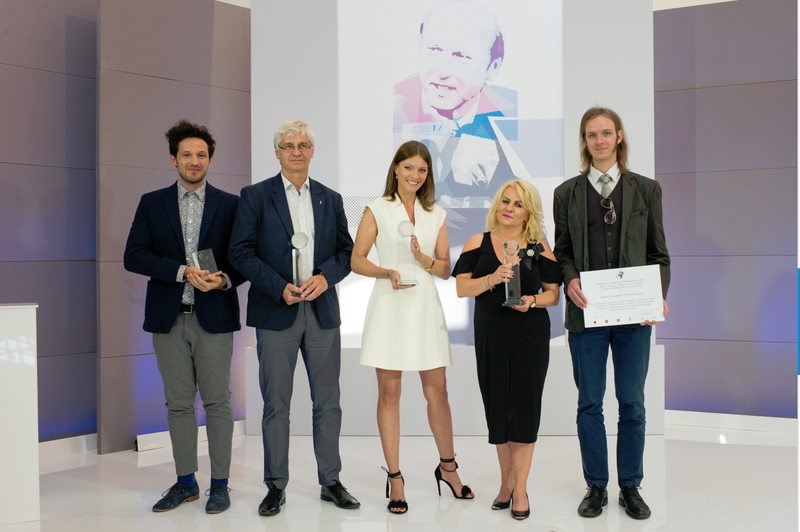 The awards were given out in four categories: the best Polonia journalist, the best Poland-based journalist concerned with Polonia themes, the best foreign journalist concerned with Polonia themes and the best Polonia editorial office. Polish Express received its award in the Polonia editorial office category. The weekly publication has been available on the British market since 2003. The award was given in recognition of Polish Express taking important and valuable initiatives in the interest of Poles living in the UK, as well as for continuous improvement and optimal use of modern technologies in reaching out to its audience. On behalf of the whole editorial staff, the award was accepted by Ilona Korzeniowska, the editor-in-chief of Polish Express and Mateusz Tomanek, the editor of Lajt magazine, which is part of Polish Express. “I am deeply touched and extremely encouraged by the fact that such a valuable award has been given to our newspaper. Our many years of work and the enormous commitment of the editorial staff of Polish Express to the affairs of Poles living in the UK have both been acknowledged,” says Ilona Korzeniowska, editor-in-chief of Polish Express. The Maciej Płażyński award is given in recognition of the work of journalists and media serving the Polish diaspora. “This meeting serves as proof that in the age of the Internet and fast communication there is still place for reliable journalism. Each year we are faced with the same pleasant conundrum of choosing several winners from among dozens of great applications,” said the chairman of the jury, Jakub Płażyński, in his welcoming speech. The other winners of this year’s awards were Tadeusz Nowakowski, Agata Konarska and Rita Cosby. Additional honourable mentions were given to Dionisos Sturis and Lisa Korenets. The winners were selected by the jury composed of Jakub Płażyński (chairman, son of the patron), Jarosław Gugała (Polsat TV), Jerzy Haszczyński (Rzeczpospolita), Małgorzata Naukowicz (Polish Radio), Antoni Szymański (a senator of the Republic of Poland) and Sebastian Tyrakowski (deputy director of the Emigration Museum in Gdynia and secretary of the jury). The Maciej Płażyński award, given out to journalists and media who serve the Polish diaspora, was initiated by Press Club Polska, Jakub Płażyński, the mayors of Gdańsk, Sopot and Gdynia and the Marshal of the Pomeranian Voivodeship.